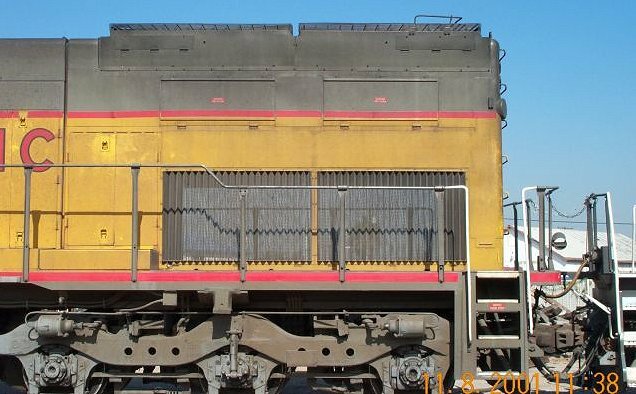 Here are some various shots of the EMD model SD40T-2 "Tunnel Motor" design I had spoke of sometime back. These were designed to overcome the problem of overheating the units while traveling through long tunnels. 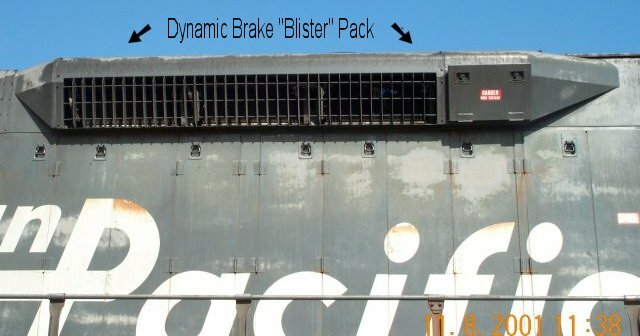 I also threw in a detail shot of the Dynamic Brake Resistor's "Blister Pack", plus a close up of the rail sanding nozzle at one of the Locomotive's wheels [again, this was discussed sometime back]. If anyone needs a "Refresher" to these items, let me know. 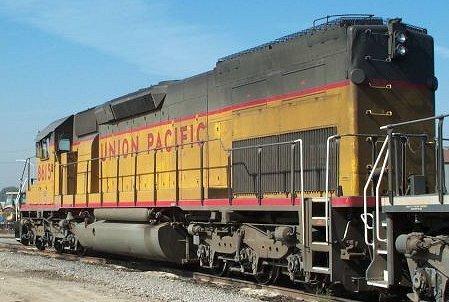 Rear view of the SD40T-2. Detail of the rail sanding hose at the "rear facing" wheel of the front truck. 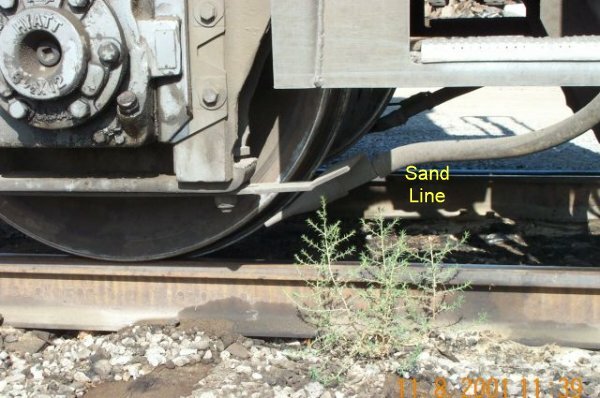 Front facing wheel has similar sand ducting. All trucks have front and rear facing ducts for both left and right side wheels / rails. Let me know if these images are too difficult to view, or if you would like more information. Also check out the "Technical Reference" area for some shots of Prime Movers [Diesel Motor in the Locomotives], and some Trackside Signal Control Equipment.